"Ctrip Traveler Rewards" is an overseas shopping rewards platform for MasterCard holders in Chinese mainland. ICBC Global Travel Card (bearing MasterCard brand) holders can enjoy exclusive up to 5% cash back for 5 years when registering their Global Travel Card for "Ctrip Traveler Rewards" and spending with it in cooperative merchants. 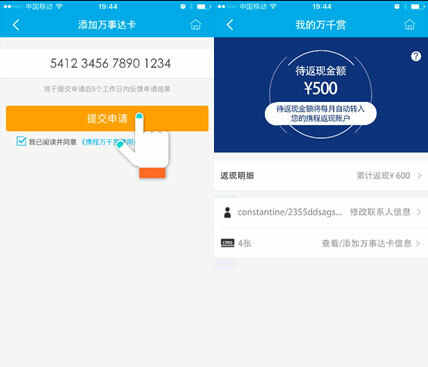 After the registration, cash rewards will be credited in the Ctrip cash back account for any spending in cooperative merchants for 5 years, no ceiling. By far, "Ctrip Traveler Rewards" has over 200 merchants in Hong Kong, Macau, Taiwan, Japan, America and Australia, including FRANCK MULLER, RIMOWA, GODIVA, L'OCCITANE, BOSE brand stores and BAND OFF, PARCO shopping malls, as well as selected specialty restaurants in Japan and Macau and restaurant and shopping stores in over 40 US airports. Famous merchants include FRANCK MULLER, RIMOWA, GODIVA, L'OCCITANE and BOSE, etc. At least over 5,000 merchants are coming in 5 years. 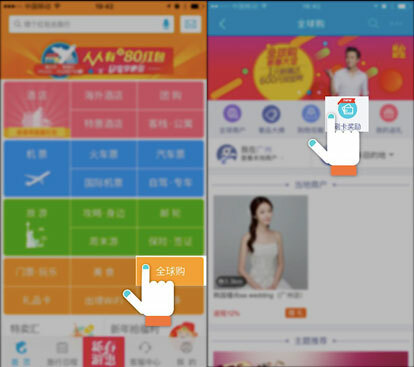 (Step 1: Open Ctrip APP, click "Swipe Rewards" in "Global Shopping" or enter Ctrip Travel Rewards website http://g.ctrip.com/ctr?gsourcetype=10 on PC to enter "Ctrip Travel Rewards". Binding Global Travel Card now to participate in the activity. It is valid for 5 years after the registration.